Two new PlayStation-exclusive franchises join the fight for ultimate supremacy. Gamers looking forward to Sony's upcoming crossover fighter, PlayStation All-Stars Battle Royale, will already have 20 fighters to test out at launch, but that isn't keeping the DLC train from rolling on. The game - which is slated for release on November 20th in the U.S. and the 21st in Europe - will be scoring a pair of new brawlers in early 2013. 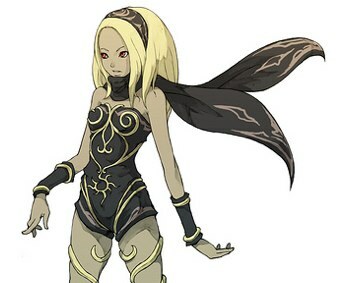 The duo includes Kat from the PS Vita hit Gravity Rush, and the grizzled Emmett Graves from the PlayStation 3 action title Starhawk. The two fighters will bring unique, franchise-specific touches to their play styles, including Graves's ability to call in support from above, and Kat's physics-defying jumping and dashing techniques. If you're groaning at the prospect of having to pay for new combatants, fear not: Emmet and Kat will both be free to download for the first two weeks of availability. Once you download the DLC warriors, they are yours to keep forever, but if you fail to snag them within their first 14 days of availability, you'll need to cough up an unspecified amount of cash for their company.